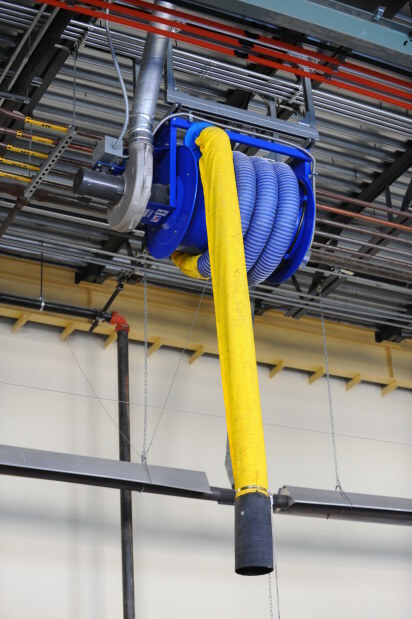 The Harvey Automatic Retractable Hose Reel offers one of the most convenient methods available for extracting harmful exhaust fumes and gases for all types of service areas. 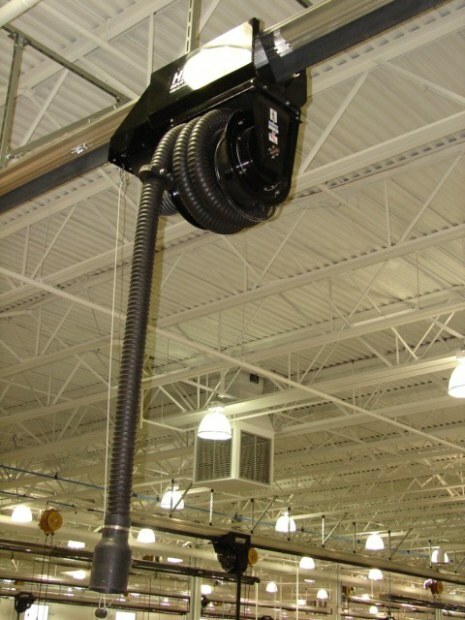 The carbon spring operated hose reel is designed for years of trouble free service and can be adapted for use with ALL TYPES of vehicles. The exhaust hose supplied with the reel is fabricated of Silicone Fiberglass with an internal wire helix and rubber coated. It is high heat resistant to 600º and meet US Military and commercial specifications as well as United States Air Force requirements for high temperature stability. Available 3″, 4″, 5″ and 6″ hose sizes. Accessories include motorized reels, micro switch to control remote motor starter or other accessories, individual attached blower motor.